Home > News > North Lancs Expo 2018 – what a show! 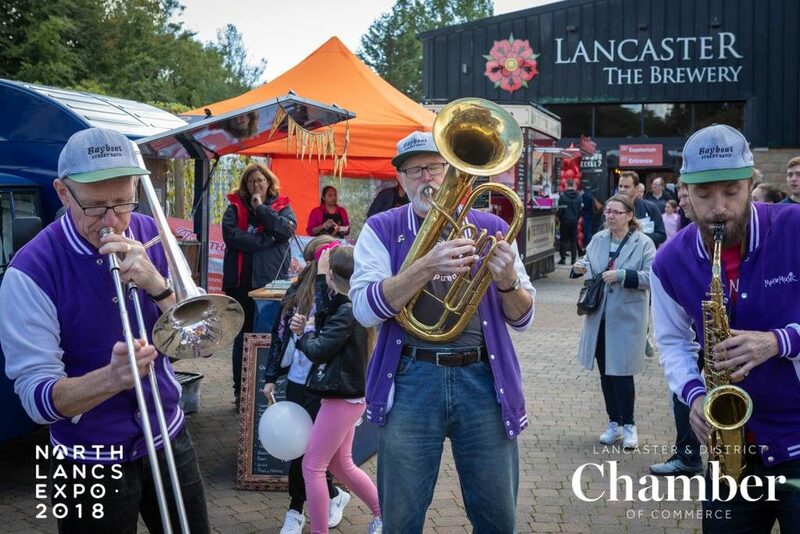 The dust has barely settled on this year’s North Lancs Expo and we’re already looking forward to next year – for those of you who are really organised, it will run on Sunday 22nd and Monday 23rd September at the Lancaster Brewery. This year’s Expo was only the second time it has run, but you could be forgiven for thinking this is an event which has been running for years. It ran smoothly, was well organised and with over 100 exhibitors and thousands of visitors, there was a fantastic atmosphere on both days. Sunday was the family and community day, a chance to inspire the region’s future workforce, as well as an opportunity to enjoy some local entertainers, including the Ludus Youth Dance Company, the Bay Beat Street Band and Bernesto the Great. Lancashire Fire and Rescue’s 999 Squad and the British Army also dropped in. On Monday, it was back to business, and a chance to meet some of the other exhibitors and visitors. We thoroughly enjoyed the debate on the future of North Lancashire and we’re pleased to say, the future looks very bright. We’d like to say a huge thank you to everyone who took the time to visit our stand. We hope you found the Expo as interesting and rewarding as we did – and we look forward to seeing you again next year. We’d also like to thank the Lancaster and District Chamber of Commerce for organising the event. Sign us up for next year.